New in the fourth beta is iCloud sync, a key Shortcuts feature that makes created shortcuts available to all user devices signed in to an iCloud-connected account. Shortcuts that change system settings, access the clipboard, or use current location also now work, while shortcuts that use Health functionality will now no longer open the Shortcuts app. Developers first gained access to Shortcuts in July after it was announced during Apple's Worldwide Developers Conference. Not much has changed through the beta process, with the biggest addition being the inclusion of limited HomeKit support in the third beta. Shortcuts will likely be released as an update to the existing Workflow app, a title Apple purchased last year and has kept on the App Store. Workflow currently sits at version 1.7.8, whereas Shortcuts is in testing as version 2.0. 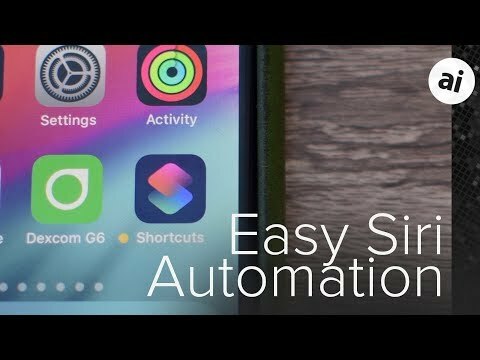 Shortcuts replicates all existing functionality found within Workflow -- including the UI -- and adds some new features. AppleInsider went hands-on with an early beta of Shortcuts and found it easy to use, though at times overwhelming for beginners. Some promised functionality is still is missing from the Shortcuts beta, though it is expected to be added before release. This feature seems to move at a much quicker pace than any other features introduced. Even Siri itself moves like a snail since introduced. I’m an Apple Developer, based in the Philippines. What might be the reason that Shortcuts is not available here?